Are you a videographer, video editor, photographer, script writer, digital media or social media expert? We would love to talk with you! We are always excited to talk to new creative talent. Our business model ensures the best experience for our clients in talent and location. Because we are working with clients all over the nation and clients with various budgets, it’s important that we have several talented production and media partners. You have incredible talents and we want our clients to experience it. 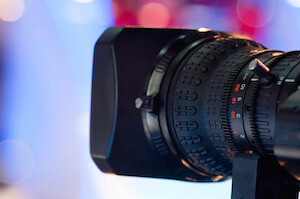 Whether you are a freelance videographer or a full production company, we want to talk to you. We want to bring you business. For our clients we are a marketing arm, for our partners, we are a sales arm. We work with our clients to scope the right projects for their business needs. We then take that project scope and work with a partner that is well-suited for the project to clarify the scope and either propose a budget or fit within the requested budget. This is then shared with the client. We are transparent with our partnership, we are not white labeling our product. Our clients know you are doing the work and you are able to take credit for this work. We aim to build relationships with consistent quality work, this relationship will build ongoing business and success for us all! We’d love to meet you. Call Us! We love meeting new people and helping businesses flourish through the tremendous power of video marketing. Contact us today to see how we can work together to inspire through video!